Looking for a little something to add that extra sparkle to your yard or garden this summer? 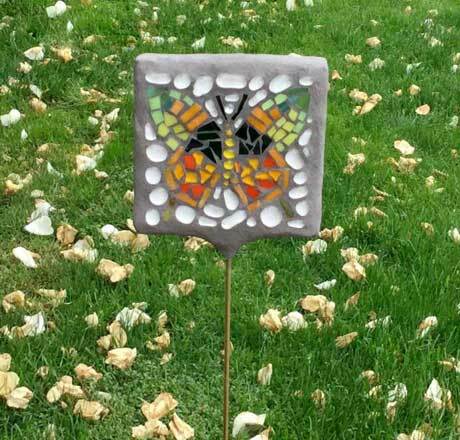 Come mosaic a beautiful garden stake and stick it anywhere – flower pot, front lawn, vegetable garden, anywhere! This relaxed class gives you the opportunity to design your piece using our amazing array of materials and is a great chance to get a feel for mosaics and come away with a stunning yard decoration. No mosaic experience required!